CLICK HERE to view the Contents and Introduction. 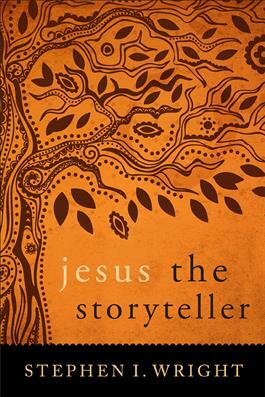 While it is widely acknowledged that Jesus told stories, there has not been much focus on why he did so and how these stories contributed to his ministry. Stephen Wright approaches this topic afresh to analyze how considering the parables as "stories" can help our understanding of Jesus and his mission. Wright begins by looking for insights in scholarship from recent decades on the parables and the historical Jesus. He goes on to imagine how these stories would have resonated with hearers in each of the Synoptic Gospels and considers the dynamics between Jesus and his hearers in different locations like Galilee and Jerusalem. Finally, Wright considers the purpose of these parables as an element of Jesus' ministry and looks at Jesus himself as a storyteller. This book will provide a solid basis for understanding why Jesus spoke in parables and how this distinctive style of speech functioned in his ministry. "If you are thinking, 'What, another book on the parables?' then think again! Here is a single volume that judiciously surveys parables research, sketches the significance of Jesus' parables for each of the Synoptic Gospels, analyzes the importance of the parables for understanding Jesus' ministry, and discusses how these parables would have been heard in their own contexts—all of this in readable prose that is fully conversant with scholarly discussion without bogging us down in that discussion. It is hard to imagine a better introduction to Jesus' parables than Stephen Wright's new book, but it also makes a welcome contribution with its emphases on story and narrative."